Marona Wedding Boutique is one of Metro Manila's promising designer and couturier. 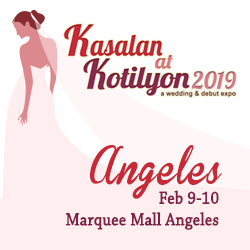 With office located in Muntinlupa City, Metro Manila, Marona Wedding Boutique provides design and couture services for every couple for their most special day, their wedding day. As an established supplier/business offering design and couture services, they have serviced a number of clientele for their special occasion needs (e.g. birthdays, anniversaries, and most especially, weddings). Marona Wedding Boutique has a quality services with competitive pricing to meet to-be wed's expectation and budget.